Paula Watson, founder of WolfWood Refuge, pets Oakley, the leader of the Alaska 9 pack. Oakley will be at tonights WolfWood Art Auction at the Durango Discovery Museum. Willow is one of WolfWood Refuges ambassador animals who travels to schools and educational seminars. 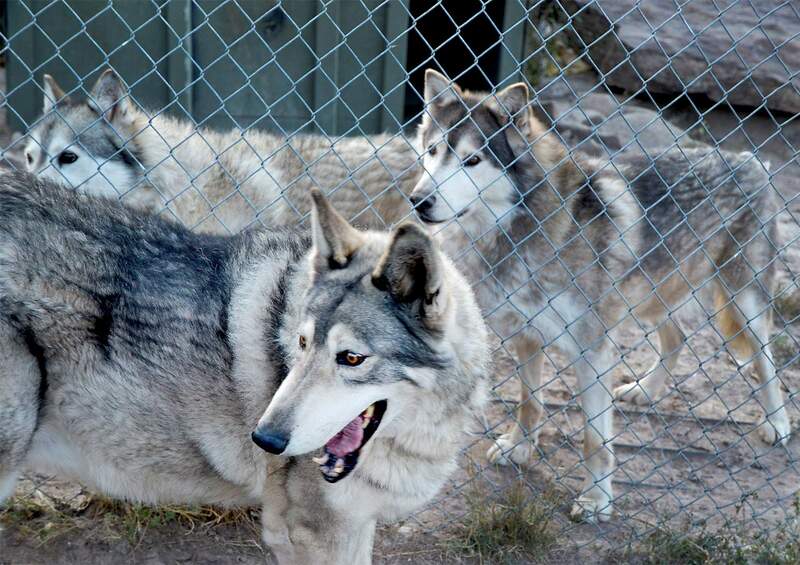  The WolfWood Refuge outside of Ignacio rescues and rehabilitates wolves and wolf-dog hybrids. The deep, soulful howl of the wolf hasnt been heard in these mountains for more than 70 years  except at the Wolfwood Refuge near Ignacio. 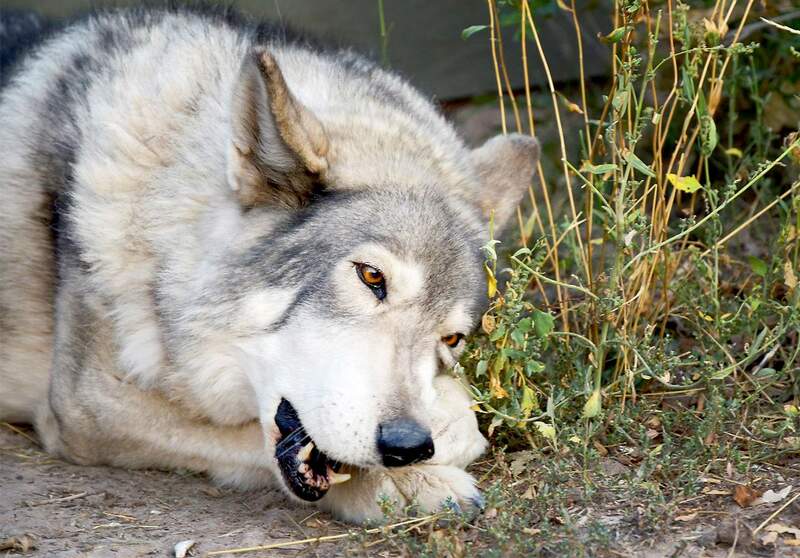 The nonprofit rescue, which has saved hundreds of captive wolves and wolf-dog hybrids from abuse and neglect for more than 20 years, is pairing with local artists to help these oft-misunderstood animals at the first ever Wolfwood Art Auction. The auction, to be held at the Durango Discovery Museum, will include work of artists from across the Four Corners. Inspired by the animals at the refuge, many of the artists  including Miki Harder, Elizabeth Kinahan and Bradley Kachnowicz  have incorporated wolves into their work. I think the best work humans can do is try to repair the damage that other humans have done, Kinahan said. 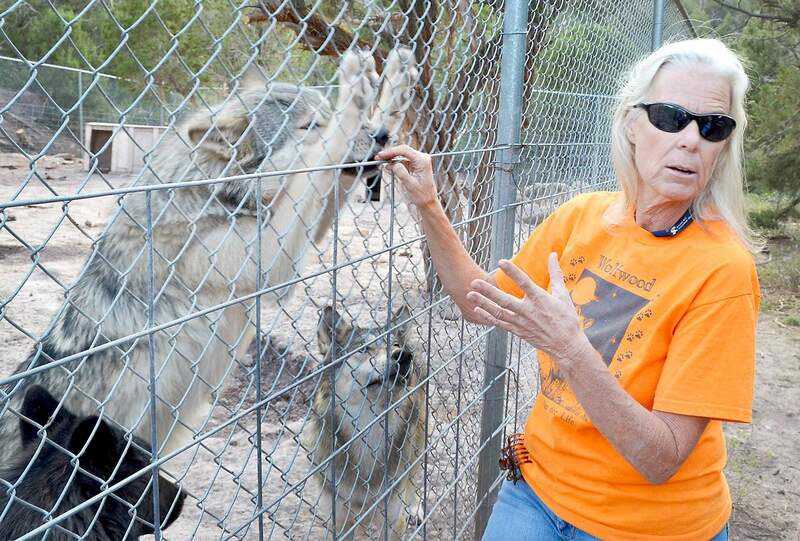 Wolfwood Refuge was founded by Paula and Craig Watson. It currently houses a little more than 70 animals in large, wooded enclosures. The often sick, injured and mistreated animals, rescued from abusive breeding situations or from people who no longer want them as pets, would be euthanized if they didnt end up at Wolfwood. The refuges most famous rescue in recent years has been The Alaska 9  nine wolf puppies rescued last summer from an Alaska breeder where they, and 30 other wolves, were malnourished and kept on short chains. Now, the happy, healthy pack is nearly fully-grown and awaiting its new enclosure, which will be completed after the auction. Oakley, the largest male of the pack  standing more than 6 feet tall on his hind legs and weighing 120 pounds  will accompany the Watsons and Trinity, a seasoned ambassador wolf-dog, to the auction. In addition to physically rehabilitating rescued animals, the refuge attempts to heal them mentally and emotionally. The refuges second goal after rescue is to educate people about wolves. It hosts at least 25 youth and community service groups each year. Wolfwood gives educational seminars at schools, state parks and to the general public throughout the area. Part of the mission is to use education to overcome the prejudice many people have toward wolves. Tonights auction will help raise awareness about Wolfwood while attracting a new audience  art lovers. Admission includes food and beverages, supplied by multiple local sponsors. The event is outdoors, so bring a jacket. Wolfwood Refuge Art Auction, 5:30-9 p.m. today at the Durango Discovery Museum, 1333 Camino del Rio. Tickets cost $25, available in advance at Marias Bookshop, Open Shutter Gallery and PetHaus. For more information, visit www.wolfwoodrefuge.org.